King Steaks Sicker Then Ya Average feat tank I be killing these Dre beats! Heres another one! my life remix-1 Sometimes its not ur mind u gotta use ur soul!! Growth. 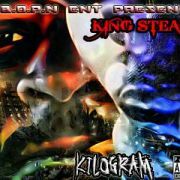 King steaks feat jigg, concrete lingo, and Sean ciga Something different, something smooth, this is what we do!. Off that cinnamon apple beat. My Mo. Sean cigars feat king steaks Working! In the studio with one of my favorites, Sean Cigars! Times is hard. Feat Bagdad Rip Boobie. Years before he past he told me I should do something with this hook. on my twit Its what i do. gimme that As yhe story is told. They say I'm one of the best. Still i can load up this 4, and bring it right to ya step.